Dr N. Campbell-McBride emphasises nutrition as the core intervention for the GAPS protocol and successful management of GAPS digestive disorders. Supplements alone can not achieve the healing response that the GAPS diet does. Too many supplements can irritate an already inflamed and damaged gut lining and interrupt with the healing process. Whilst some supplements are important for some people and recommended by qualified practitioners, Dr N. Campbell-McBride advocates keeping supplements to a minimum whilst giving the digestive tract a chance to heal. ‘The GAPS™ Supplementation Guide’ Coming Soon! 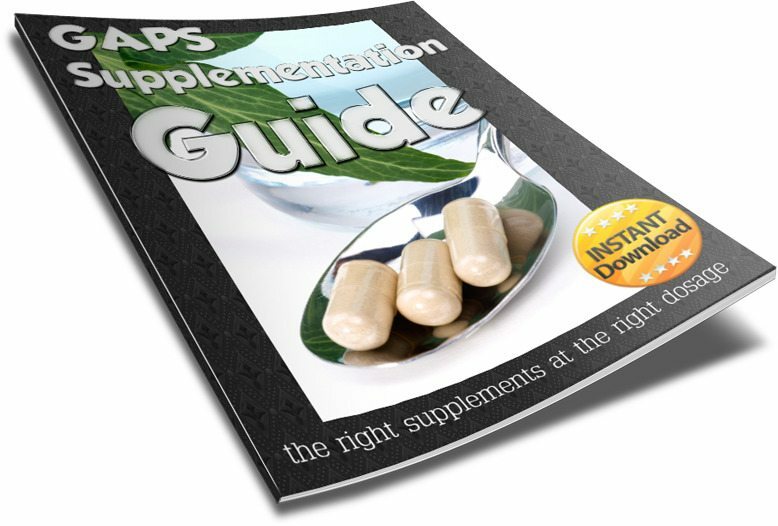 This guide will help you make your selection of GAPS Supplements that meet the GAPS Supplementation Criteria with recommended dosage for therapeutic use with all ages. It will also provide you with additional information on other targeted supplementation for GAPS. Dr. Campbell-McBride does not recommend any vitamin or mineral supplementation at the beginning of the program until the digestive system shows signs of improvement. Some patients may require targeted supplementation but this is a matter for a qualified practitioner to decide and should be avoided where possible so that it does not interfere with the healing process. ► Keep supplements to an absolute minimum.